According to some reports, the Aston Martin auto manufacturer is going to produce the Lagonda sedan. Some British mass media reported about the Aston Martin’ plans to launch a sedan under the badge “Lagonda”. We would like to remind you that Aston Martin has been owning the UK luxury car marque of 108-age since 1947. When the carmaker presented the Lagonda SUV at the show in Geneva in 2009, that concept SUV was much criticized. Thus, Aston Martin has made decision to change its proportions and style and produced a new sedan but under the Lagonda badge. It will be the production car under the Lagonda badge since 1990. The Lagonda’s story began in 1909 when its founder – Wilbur Gunn from the U.S.A., established the workshop in the UK and produced the first vehicle at the same year. The name “Lagonda” came from the river in Springfield, Ohio. During the period when Lagonda was aswim, it was the serious competitor for the super-luxury brands such as Bentley and Rolls-Royce. In 1931, the Bentley brand became and the Rolls-Royce manufacturer bought it. After that, the Bentley founder went to the Lagonda and took a part in developing the legend model LG6. 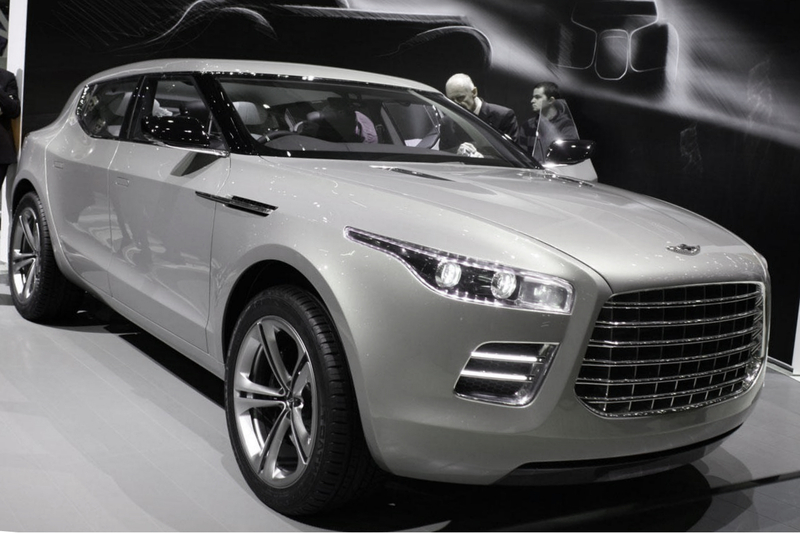 That legend car inspired the Aston Martin’s designers to produce the Lagonda SUV concept in 2009. In 1947, the Lagonda Company suffered financial loses and finally was bought by the UK tractor manufacturer which head began controlling the Aston Martin manufacturer earlier. Later, in 1970, the carmaker produced the Aston Martin Lagonda V8; it was the angular stylish sedan with four doors. It was the past of the Lagonda badge and the Aston Martin Lagonda V8 was the last production model since then. Currently, the Lagonda name existed only on papers. Aston Martin gets the exemption to some new safety rules in the U.S.